Oh hey. Remember me? I’m still here! I know the blog has been a little dormant lately, but I’m hoping to be back to normal with blogging soon. Until then, I thought I would at least give you a quick update to what I’ve been up to lately, because a lot has been going on! I guess the best place to start would be this little thing called my wedding. That’s right, I GOT MARRIED! After being engaged for around a year and a half, it was so exciting for our big day to actually get here! As might be expected, it was a little stressful planning the wedding from out of town, but thanks to some big help my family and bridal party, the whole day was absolutely perfect! Surrounded by our wonderful family and friends, T and I became husband and wife. It was such a happy, emotional, and fun day. But boy did it go by fast! I’m so thankful that I had the wonderful Abby of AK Photography there to capture moments in time and the talented Jenna and Felicia to capture everything on video! Maybe in a future post, I’ll share more photos and details about our big day, but for now – here’s a sneak peek! Aren’t those girls seriously talented? The whole day felt like an absolute fairy tale, and this video captures it perfectly. And this is only the teaser! I can’t wait to see the whole thing! After the wedding, we headed off on our honeymoon! And let me tell you, after being in “wedding mode” for 18 months, a whole week of nothing but sun, food, and relaxation was just what the doctor ordered. 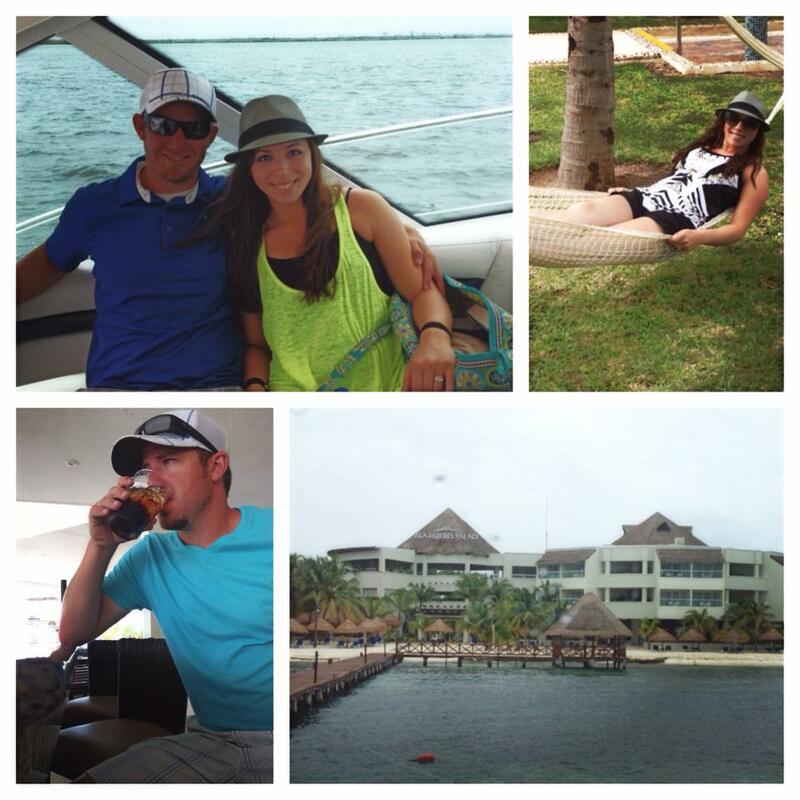 Isla Mujeres – I want to go back already! Besides getting back on track with normal life, I also had to catch up on everything that happened at work while I was gone. And let me just say that a whole week and a half away from the marketing department at Beck’s might as well be an eternity with how much takes place in our world over that amount of time! I had a lot of fun making these recipes and sharing my memories so I hope you’ll check them out! Well, there’s so much more to share, but I have to squeeze in a little sleep here and there so I’m calling it a night. But I hope to be back again soon! Hope everyone has a wonderful week!